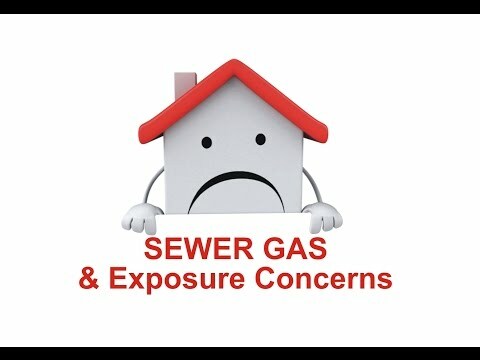 Clark Seif Clark provides services to identify sewer gas and its components to improve indoor air quality and prevent potentially hazardous situations. Sewer gas is a concern due to its unpleasant odor, potential effects associated with exposure and breathing toxic gases, asphyxiation concerns and the potential for creating explosion hazards in extreme circumstances. Many people have at one time or another walked into a home or building and immediately encountered the unpleasant odor associated with sewer gas. Exposure to these objectionable odors can not only be distressing, in high enough concentrations they can even create health and safety concerns for building occupants. Sewer gas is a complex mixture of toxic and nontoxic gases that can be present in a home, school or building depending on various circumstances. It is formed during the decay of household and industrial wastes. There can be highly toxic components of sewer gas which may include hydrogen sulfide and ammonia. Sewer gas also contains methane, carbon dioxide, sulfur dioxide and nitrous oxides. Chlorine bleaches, industrial solvents and gasoline are frequently present in municipal and privately owned sewage treatment systems and these substances can also release gases. To learn more about this or other building science, indoor air quality, occupational, environmental, health and safety testing services, please visit www.csceng.com, email csc@csceng.com or call (800) 807-1118.